So, I've made a somewhat interesting discovery. So, I’ve made a somewhat interesting discovery. 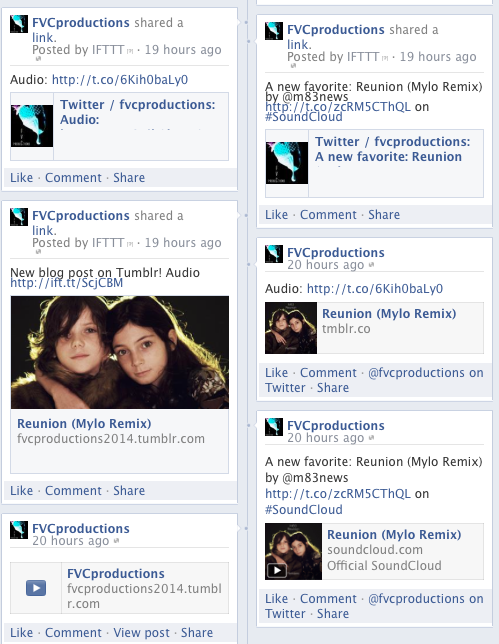 Google+ (the Facebook wanna-be) 2. Behance (where creativity can be unleashed) 3. LinkedIn (making business people look good) 4. Wordpress (professional looking posts) 5. Quora (questions and answers) 6. Vimeo (high quality videos) 9. YouTube (the best and worst videos) 11. Quizlet (quizzes all abound) 13.
a Facebook Account (casual stalking) 14.
there’s a lot one can’t not do. Which is exciting. The arrow represents the possibilities each social network has with every other in terms of connecting/sharing/publishing. 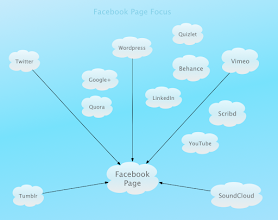 For example, with the above digram, anything you publish to Behance can automatically be published to Facebook, LinkedIn, and Twitter (the mega god of connecting according to these 2 diagrams I made). 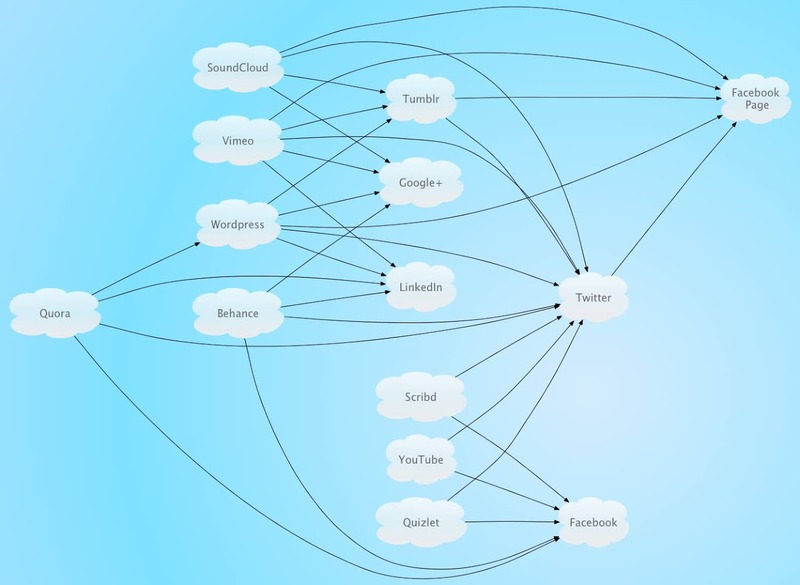 So many connections and options, it’s hard to believe people haven’t created this sort of global application that can access any of your sites and just publish simultaneously whatever material you want to any site you want (I mean, besides HootSuite - the UI looks quite unappealing for their Social Media Management App…). There’s also another version of the same diagram below, formatted differently. I prefer the one that looks like this circle where everything goes round and round, infinitely. It’s clear then that the average one essentially has no need for IFTT! IFTT, by the way, is the utility that promises to put the Internet to work for you. A few examples of how IFTT are shown below. 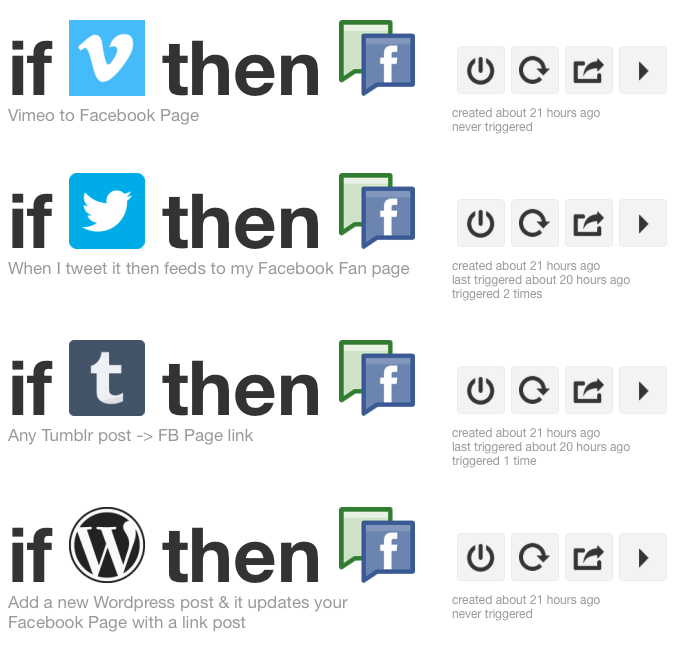 Mind you, I mean that IFTT is not really necessary at all for the average Internet user. So many connections - ergo, so many reposts of the same exact thing!!! That’s not to say IFTT is not totally lost with all these social networking sites having the options there. At the core of its own recipe, IFTT has a simple if-statement one could find in a beginner programming class, which I find amusing/amazing since IFTT has attempted (successfully, in my opinion) to control the vast entity known as the Internet. Any whoozies, all this time, I’ve really just been contemplating how much closer everyone really is to each other virtually and trying to prove that to myself through these visually off-putting diagrams I decided to type up last month.